The Catholic Cemetery Association is pleased to announce the opening of "Saint Joseph Patio" a garden located within Calvary Cemetery. Saint Joseph Patio will provide a serene and peaceful location for families to spend time and visit their loved ones. In of this event, we invite you to visit us between 1–3pm at Saint Joseph Patio of Calvary Cemetery. and take in the peaceful setting and pray to those who have returned to their eternal home. Each visitor will be given a rose to symbolize the beauty of this event. 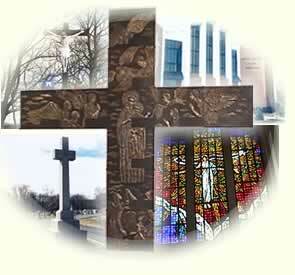 © Copyright Catholic Cemetery Association of the Archdiocese of Boston, Inc.